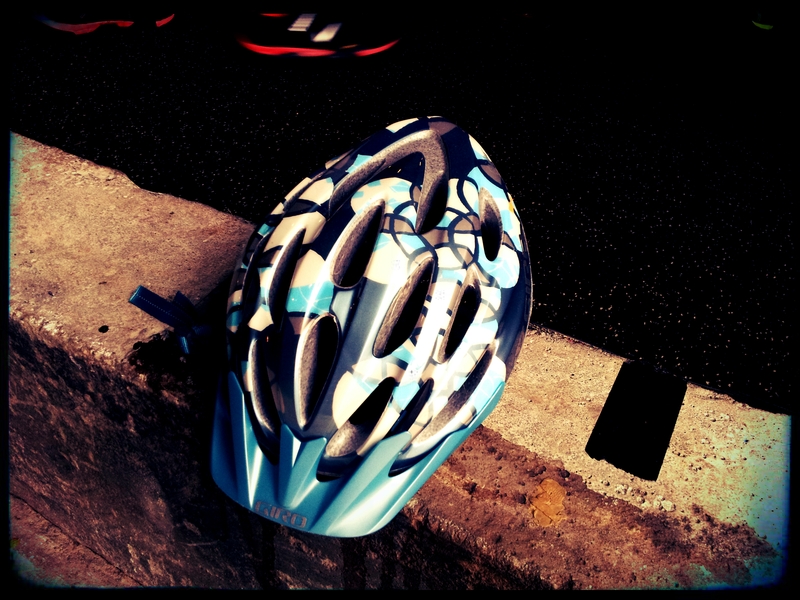 “Always use protection”…if this is your helmet, it misses you. Come fetch it. 3 x 80 Meter Sled Pull, For Load & Time. Run 1 Mile, For Time. YES! I love when we have mile runs! Thanks Pat, for the help. Hope your knee gets better Sue. I wanted a sub 7 time on the mile since last I had a 7:00 even, and it turns out, I DID! SO sore today from 100 squats and 100 push ups. I think I got the rhabdo. Marian and I did yesterdays WOD during 7p. Felt good to lift some heavy things and to get some PRs today. Mile: 6:50 Shoulda coulda pushed a little harder at 250 meters out. I had a little bit left in the tank. The sled pull was awwwfulll! 45lb weight. 1:02, 2:13, 2:16.